One of baseball’s rarest plays, the hidden ball trick, is simultaneously gratifying and embarrassing. If you’re the fielder who pulls off this bit of defensive magic, it becomes one of the more satisfying moments of the season. If you’re the embarrassed runner, well, there is no hole deep enough to hide from the humiliation of being called out for not paying attention. Time must not be called after the previous play. This takes the cooperation of the umpire crew. Most often the home plate umpire will call “time” after a play so he can get reset for the next pitch. The pitcher must be in accordance with league rules regarding his position on or near the mound. One universal rule regarding the pitcher is that he may not feint a pitch, nor may he put the rosin bag in his glove in an attempt to make it appear like it is a baseball. Here are four different league interpretations. 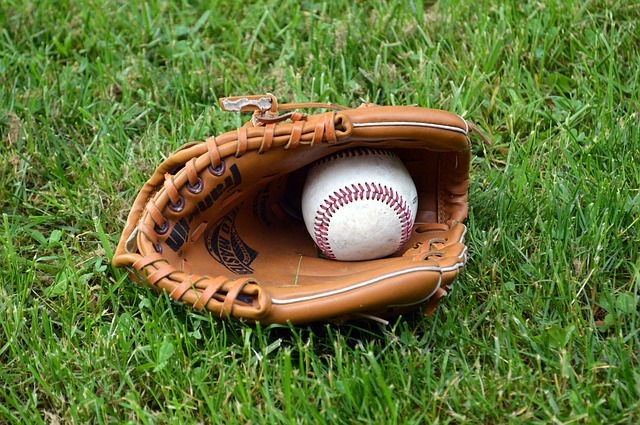 If there is a runner or runners (on base), it is a balk when the pitcher, without having the ball, stands on or astride the pitcher’s plate or while off the plate, he feints a pitch. While not in possession of the ball, the pitcher stands with either foot or both feet on any part of the dirt area (circle) of the mound during a hidden-ball-play attempt. PENALTY FOR A BALK: The balk applies only to Intermediate (50-70) Division/ Junior/ Senior/ Big League. (1) Straddling the pitcher’s plate without the ball is to be interpreted as intent to deceive and ruled a balk. Most often the hidden ball trick works best right after a play at a base – after a pick-off attempt is the most common time. The pitcher throws to the base, runner dives back to the base, and the fielder fakes a throw back to the pitcher but actually holds on to the baseball. Some fielders have hidden the ball by holding it under their arm or placing it in their pocket, so that their glove is empty. The runner doesn’t realize the fielder kept the ball and he wanders off the base and is tagged out. Matt Williams, a former third baseman for the San Francisco Giants and Arizona Diamondbacks had an interesting strategy. On more than one occasion, Williams would politely ask the runner if he would move off the base so Williams could sweep the dirt off. He would then tag out the obliging runner. 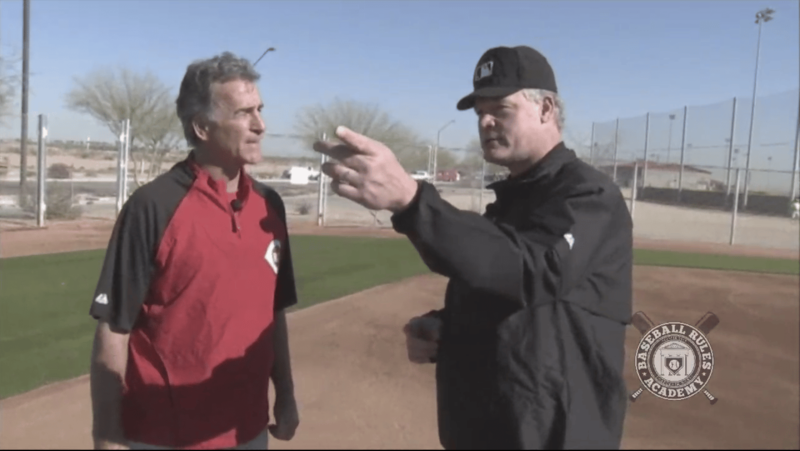 Ted Barrett explains the Official Baseball Rules regarding the pitcher who is in on the hidden ball trick attempt. Rule of the Week: Safe or Out? Rule of the Week: Ball or Strike?